this is part of why i love living in this house. 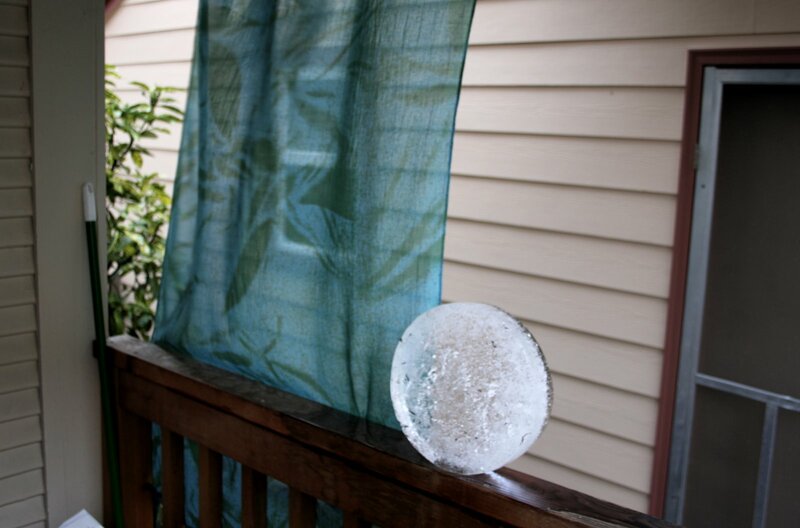 i wake up in the morning and things like this large circle of ice appear on the back porch out of nowhere. Very strange. I wish that would happen to me.